Optimize the performance of a Fortinet wireless LAN network with the appropriate wireless accessories. 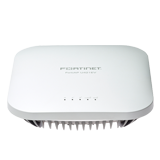 Fortinet wireless access points are all supplied with their own internal or external antennas, making them simple to deploy with no RF engineering expertise. 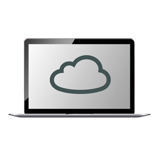 Simply plug the wireless access point in, and it automatically downloads its configuration from the controller or can be self-configured through Fortinet’s management software. For customers who need to concentrate network availability into one particular area, Fortinet also offers a range of directional and high-gain antennas. These are useful for wireless applications such as filling irregularly shaped coverage holes or ensuring that a wall-mounted access point serves the inside of a building rather than the parking lot. Fortinet’s family of outdoor MIMO Antennas enhance wireless LAN signal strength for building-to-building bridging applications and enhance coverage in large open spaces such as shopping centers and courtyards. The antennas are a lightweight and durable construction with plastic UV-protected Radome, and can be installed in indoors and outdoors. 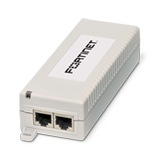 Additionally, Fortinet provides a full line of Power over Ethernet (PoE) switches and PoE power injectors, which power Fortinet wireless access points and other PoE devices.